Start with a clean computer hard drive. A word of caution before you clean your computer. Clean up your computer from the inside out. Wipe clean the outside of your computer. Put your clean computer back together. Computer fans go a long way to vent heat away from the important components of the complex computer machine. Unfortunately, they don’t do a great job with computer cleaning tasks. What did you expect? It’s not their main function. They do manage to move dust around, but what doesn’t snag on circuit boards and cables mats against the fan’s screen. All this does is create an environment where heat can’t escape the shell of the computer. This is why it’s important to occasionally clean up your computer from the inside out. Start with a clean computer hard drive. Programs like Disk Cleanup and Disk Defragmenter, as well as backing up your files to well-labeled external sources, are the easiest ways to have a clean computer hard drive. 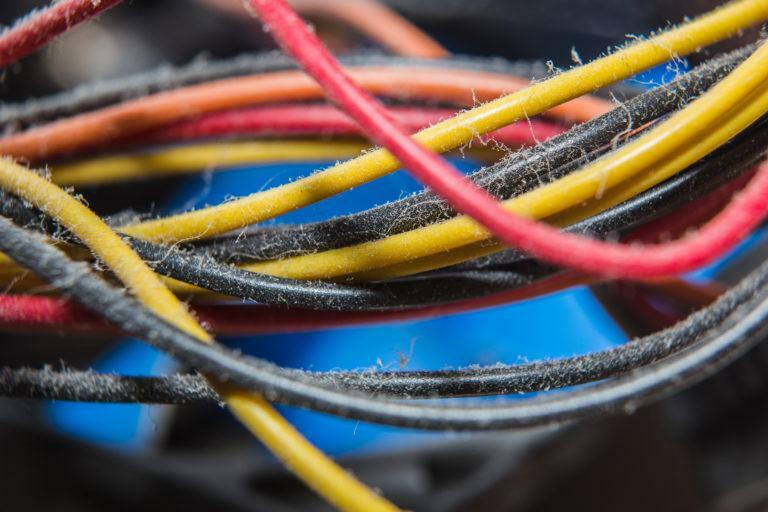 A word of caution before you clean your computer.There are a few things you should keep in mind when performing a computer cleaning. First, and most obvious, shut down the computer the correct way. You do not want to unplug the machine when cleaning the inside. Leave it plugged into the surge protector. Detach all the peripherals, like the mouse, keyboard, USB flash drives, printer cables, and monitor. Basically everything except the power cable. Remove the cover of the machine and proceed to ground yourself. Standard grounding equipment looks something like a wristband with a piece of metal that presses to the skin and a cable with a metal clip on the end. If you don’t have this equipment, just make sure you’re in constant contact with something metal inside the computer to avoid static. Clean up your computer from the inside out. Cleaning a computer can be relatively easy, especially when you consider that you really won’t be touching anything. 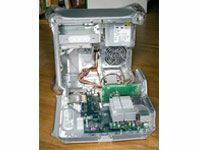 Grab a can of compressed air, be careful not to tip it too much, and blow out the dust and debris from the inside of the computer shell. 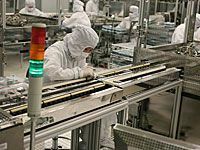 Cover all areas of the machine, including the fan, circuit boards, power supply, and chassis. You might want to wear a mask, particularly if you have an allergy or intolerance to dust. If dust won’t come free from any problem areas, you can use a very soft, very small paint brush to remove it. If it’s stuck on a circuit board, leave it alone. 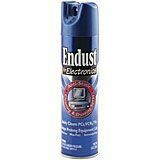 When you’ve removed all or as much dust as possible, it would be good to spray the components with Endust for Electronics. Be sure to wipe down the inside of the shell with a soft, dry cloth. Wipe clean the outside of your computer. Wipe down the exterior shell of the computer with a soft, dry cloth. It is not a good idea to use any sort of liquid cleaner, even on the outside. You don’t want moisture seeping into the machine. Put your clean computer back together. Replace the machine’s cover and reattach your peripherals, preferably in the order you unplugged them…it’ll make cleaning easier next time. 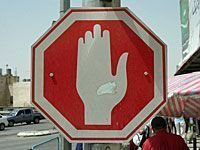 Don’t physically touch anything inside the computer that has a computer chip attached. Static or oil damage can cause catastrophic failure months after contact. It’s best not to risk it. Buy an anti-static rag for wiping down the inside walls of the machine. You should still avoid contact with anything resembling a circuit board, but hit the walls and bottom especially. In my experience a computer vacuum is a bad idea. They sound like they would be great, but like any other vacuum it can emit small amounts of magnetism and static electricity. Both would be calamitous to the health of your computer hard drive and components. Steer clear of these devices. Disk Defragmenter.Open Disk Defragmenter and run the program. This rearranges your saved files to help the computer run faster and more efficiently. Do this when you have some time available and you don’t need to use the computer. 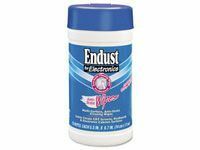 Endust for Electronics. 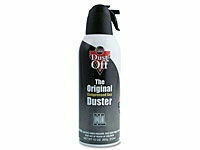 This stuff works just like the regular Endust in that its formula helps repel dust particles. This is important for the inside of a computer where you don’t want dust settling in the wrong places. 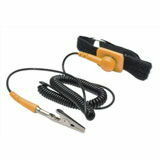 Grounding equipment. Yes, it looks a little silly, but this can save you a major headache. They’re usually around $25, which is a small price to pay when the alternative is catastrophic static damage to your computer’s guts. Of course, you can find them for cheaper, specifically the Rosewill ESD Anti-Static wrist strap, found on Amazon. It’s $10 usually.